In its many years of putting together albums to raise money for AIDS relief, the Red Hot organization has created some of the most memorable compilations of recent times. Their first effort, 1989’s Red Hot & Blue, featuring contemporary artists covering Cole Porter, connected pop music past and present in a way that seems like standard practice now, but was eye-opening then. Later, 1993’s No Alternative captured the exuberance and creative diversity of a moment, just before Kurt Cobain committed suicide, when it felt like some grungy kids with guitars might change the world. Since then, Red Hot CDs have celebrated samba, country, dance, and bossa nova (and raised a load of cash in the fight against AIDS), but their latest compilation may go down in history as capturing another moment. 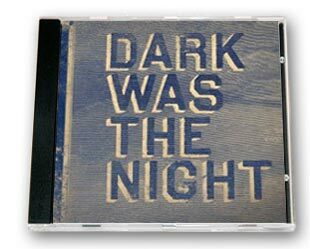 Dark Was the Night features just about every indie band idolized by the Pitchfork generation: Arcade Fire, The National, Feist, Conor Oberst, Yo La Tengo, Cat Power, Blonde Redhead, Bon Iver and Sharon Jones all contributed exclusive tracks to the compilation, along with over 20 others, and it’s quite a collection. Thankfully, Red Hot has kept up with the times and made it easy to get a free internet taste. You can listen to a different song every day at their MySpace page, or you can go to their web site and make your own little blog widget with any three tracks. Check out mine after the jump. Dark Was the Night is out Tuesday, February 17.